Wowzers! 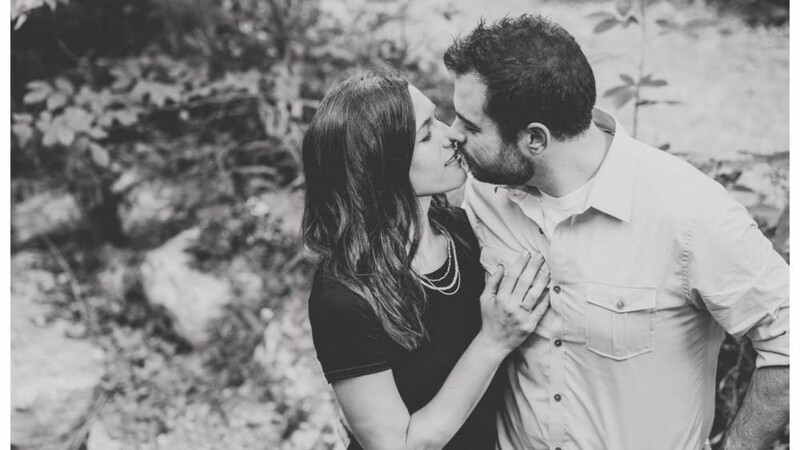 How did I forget to blog and Jamie and Mike’s Engagement Session at Tanyard Creek? Their wedding was back in August, and I already wrote their wedding blog, but somehow I forgot this one. Well, it’s never too late to show off two awesome people and some beautiful photos. I met Jamie at the Event Nation Bridal show that January, and then I got to talk to both of them over coffee, so I knew them a little before the shoot. I still had questions to ask, but I felt like I already knew these two pretty well. They are both very kind and easy to talk to. Jamie helps train nurses and Mike is all about cars and making them super fast! We went to Tanyard Creek. It’s a beautiful place. I’ve used it before for Elana’s engagement and plenty of other shoots. It has a lot of variety, and every time I go there I find something new. This time we ended up using a little dock with the lake in the background. This was another first for me. I had recently bought the Sony A7iii, and I got to use it with the Zeiss 85mm on this shoot. It’s got some crazy autofocus and that lens is super sharp. At that point, I didn’t have the newest Lightroom, so I couldn’t do as much with the files, but I still enjoyed using it. This isn’t the first time I’ve forgotten to blog about a session, and I’m sure it won’t be the last. Life can get pretty busy, and I always try my best to keep things updated. Jamie and Mike’s Engagement Session at Tanyard Creek might be late, but I’m so glad I can share it now!